Sure, you probably already know to see the Eiffel Tower and the Louvre. But if you really want to see authentic Paris life, you need to escape the typical tourist haunts and check out where the locals go. (Hint: hop on one of our Paris city tours, which are entirely led by locals-in-the-know.) For a blend of local tips and city classics, check out this guide to things to do in Paris, from our City of Love locals. Known in English as ‘Market of the Red Children,’ this is the oldest market in Paris. Tucked behind the busy Rue de Bretagne in the heart of the Marais, it is also one of the most extraordinary markets in the city, overflowing with delicious fresh farmers’ products. This market is the best place for a gourmet lunch, thanks to tasty food stalls selling snacks from all over the world: delicious Italian pasta with black truffle, authentic French crêpes, and the most amazing tajines. A must-do in Paris! Situated next to the Seine River, the brand-new Arab World Institute (Institut du Monde Arabe) features a very futuristic design by starchitect Jean Nouvel, using traditional patterns of Arabic architecture sculpted in glass and metal. At the top, a wonderful terrace offers Mediterranean refreshments with one of the most breathtaking views in Paris, straight across to the Notre-Dame Cathedral. Perfectly free to visit and perfectly amazing. 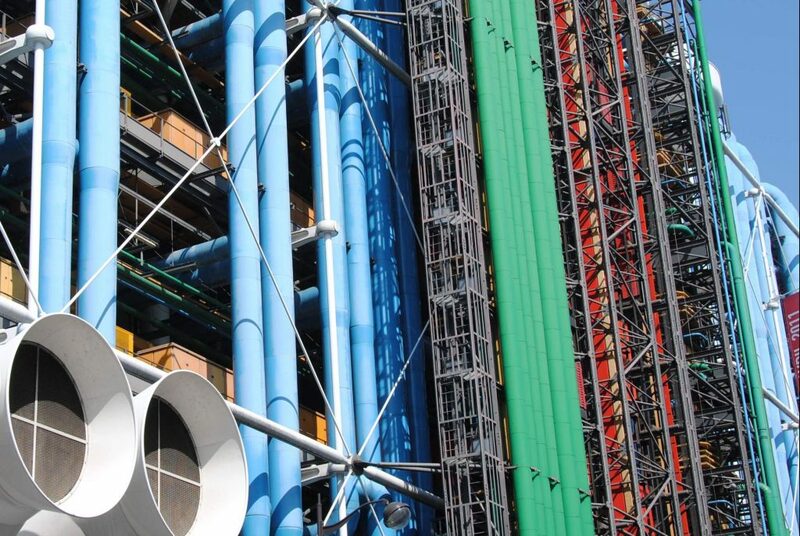 Behind its inside-out crazy shell of colourful pipes, the Musée Pompidou showcases the largest collection of contemporary art in Europe. Three levels of permanent and contemporary exhibitions from the early 20th century until today are available for modern art lovers. The first Sunday of the month offers free admission to all—the perfect time to go if you don’t mind the crowds. Yes it’s posh, yes it’s expensive, yes it’s slightly touristy, but oh God, it is simply divine. There are lots of cafés for getting cosy in Paris, but you can’t miss the tea house Angelina, which serves one of the best hot chocolates in Paris—certainly one of the best in France. Delicious melted hot chocolate accompanied with fresh whipped cream. Not the best for the waistline, but to be experienced at least once in one’s lifetime! Much more than just a cemetery, Père-Lachaise Cemetery is one of the largest green spaces in Paris, and the place where Parisians head to for walks in a quiet and shaded peaceful haven. With tombs from a myriad of religions, it is also where numerous celebrities are buried: Jim Morrison, Edith Piaf, Chopin, and Marcel Marceau, to name a few. It’s said lonely girls should kiss Oscar Wilde’s tomb in order to bring love to their life. Now, the tomb is so covered in kisses that cemetery staff had to cover it in Plexiglas to stop the lipstick from damaging the stone. Mind you, this still hasn’t stopped despaired single women from leaving their mark!